comment With this hop-on hop-off tour, you can explore parks, the waterfront and interesting districts at your leisure. 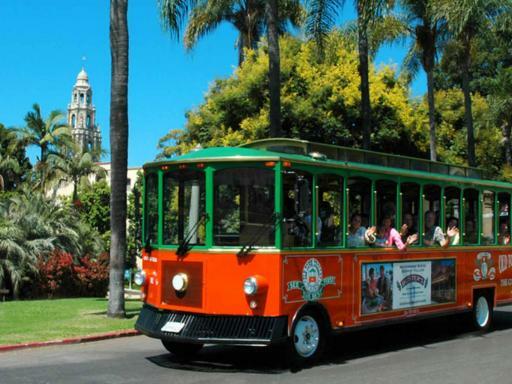 Old Town Trolley Tour of San Diego. Choice of one or two day ticket. Ability to hop on and hop off as many time as you like for the duration of your ticket. Narration by a professional tour guide. Open dated ticket voucher that can be redeemed at any time on your holiday to San Diego. San Diego offers an abundance of stunning natural beauty, rich history and an array of cultural, iconic and entertaining attractions. 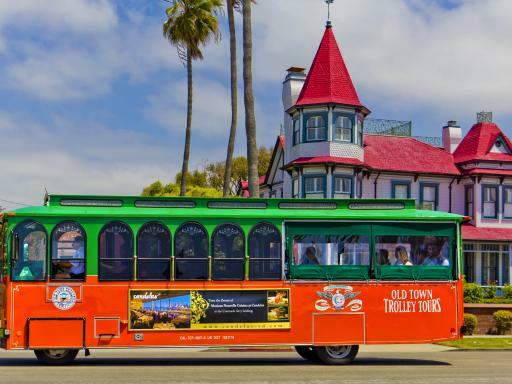 The best way to see it all is on board the city’s original sightseeing tour, Old Town Trolley Tours of San Diego. You can hop on and off at any of the 11 stops as often as you like throughout the day. 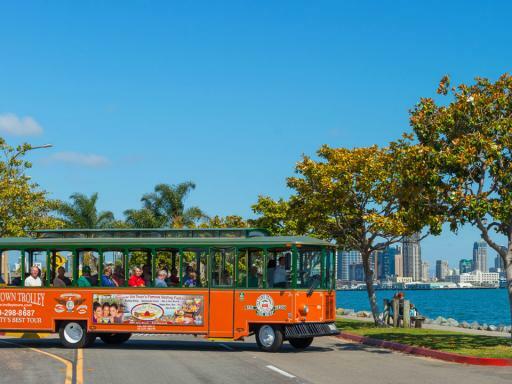 Join the Hop-on Hop-Off Tour of Old Town San Diego at any of the tour's 10 boarding points and spend a full day or two days visiting more than 100 interesting points in Coronado and San Diego at your own pace. You can begin at any time of the day and listen to the entertaining narration of the on-board conductors along the way. You will be treated to gorgeous views of the Big Bay and city skyline from atop the 2-mile long Coronado Bridge our ribbon of blue steel. 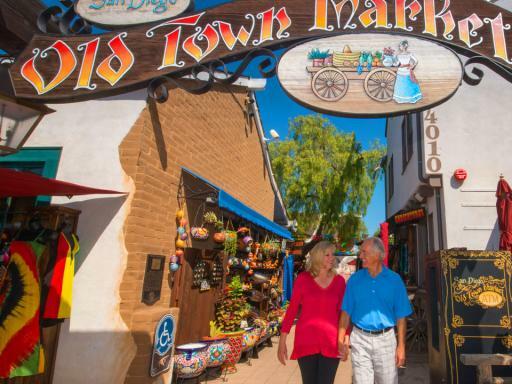 Explore the Old Town San Diego State Historic Park and experience Mexican and early American life in the 19th century, including 5 original adobe homes filled with fascinating artifacts. Tour the Midway Aircraft Carrier Museum and learn about the Navy’s longest serving carrier. Enjoy the shopping, dining, and entertainment at Seaport Village. 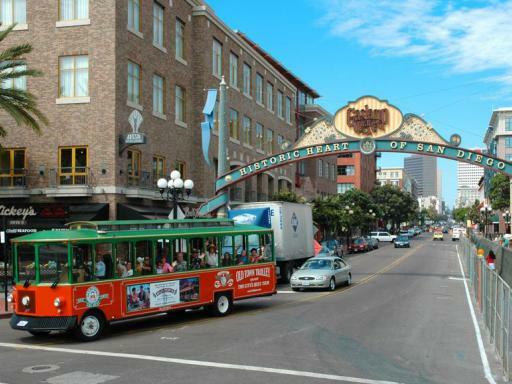 Check out the historic Gaslamp Quarter, with its Victorian-themed buildings and dozens of shops and nightclubs. Visit the William Heath Davis House, a “saltbox” style home similar to Davis’ original home, the founder of New Town San Diego. 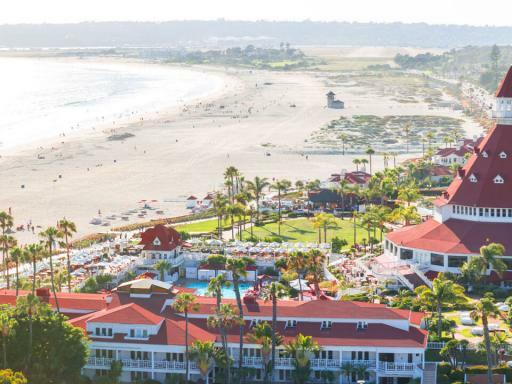 Take the trolley to Coronado, “the Crown City,” home of the famous Hotel del Coronado, one of the nation’s top resorts. See Balboa Park, a city park that combines open space and greenery with cultural attractions. Stroll through El Prado, a long promenade running through the park, lined with Spanish architecture. Don’t miss the San Diego Zoo, one of the largest, most progressive zoos in the world with over 4,000 animals! McP's Irish Pub near Hotel del Coronado. 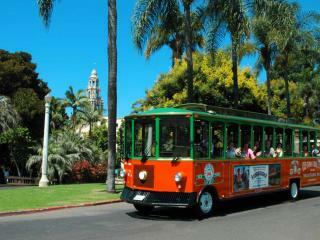 Join the tour at any one of the Trolley stops. 9.00am-5.00pm in the winter and 9.00am – 6.00pm in the Summer. 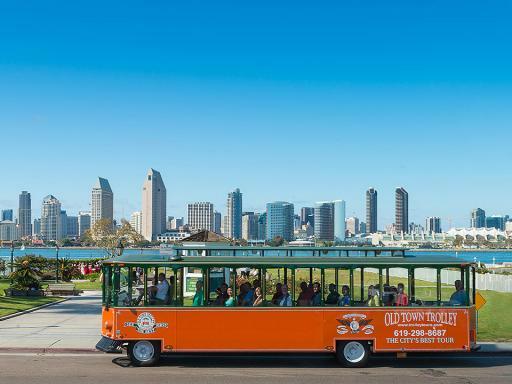 You will be sent an open-dated Old Town Trolley Tour of San Diego ticket voucher which can be redeemed at any time during your holiday. Tickets are valid for one or two days and are activated upon collection (dependent on which ticket you have booked). 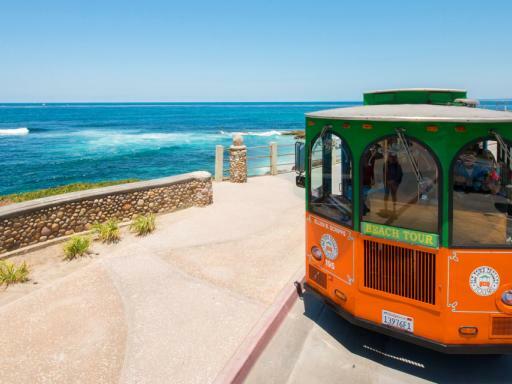 You can hop-on and hop off the San Diego Trolley Buses as many times as you like for the duration of your ticket.